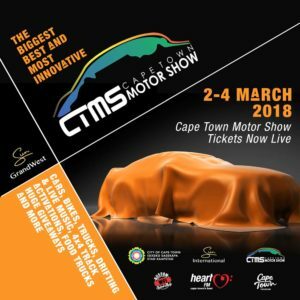 The Cape Town Motor Show, in partnership with the City of Cape Town, is pretty revved for their event at Sun GrandWest from 2 to 4 March, 2018. 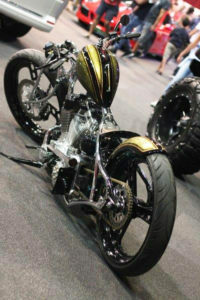 It promises a weekend with broad appeal for all car and bike buffs, petrol heads and the entire family. Two double tickets are up for grabs for The Cape Town Motor Show 2018 at Sun GrandWest from 2 – 4 March, 2018. 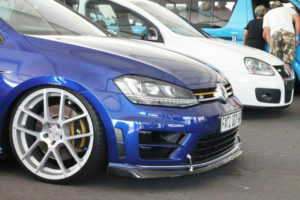 To enter, e-mail jane@weekendspecial.co.za with ‘Motor Show’ in the subject line, by noon on 28 February. Good luck! CTMS will span the length and breadth of the Sun GrandWest Entertainment World, including the Market Hall, Grand Arena, the Sun Exhibits Hall, and an Outdoor Area, and will include a Drifting Zone, Nostalgia Zone, Chill Zone, and Camping and 4×4 area. Explore the automotive industry’s latest creations, featuring classic, luxury and exotic cars, with all the major vehicle manufacturers represented. Visitors can get up-close and personal with all the newest vehicle models that will soon be at dealerships around the country. Motorbike enthusiasts will be glad to know that if it has two wheels (sometimes three) and an engine, it will be at the Cape Town Motor Show. Representing the best products, bikes and services available from leading companies across the globe – the show is a haven for bikers of any age, or level of experience – and to top it off, one lucky visitor will leave the CTMS with their own Harley-Davidson! 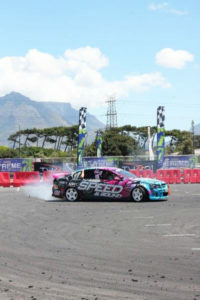 Drift car displays will run all weekend and spectators are welcome to either watch from the sidelines, or for those brave enough, join our experts as a passenger as they take you for the spin of your life. Additionally, visitors will have the opportunity to see numerous accessories and auto-related exhibits, competition vehicles, muscle cars, monster trucks, antique and collector cars, engine modifications (pimped-up rides), Sound-Off Beats competitions, virtual simulations, custom trucks, hot-rods and car wrapping. This year also boasts a number of mouth-watering new additions that include a major new outdoor area with the Wildebeest 4×4 Challenge Club. All 4X4s from your standard off-the-show-room 4X4 to your extreme 4X4s, tracks will be built for all classes of vehicles to challenge technical skills as well as the different cars capabilities. The CTMS is also excited to announce that another new spectacle is The Dusty Rebels & the Bombshells area. Here visitors can expect axe throwing, selected pre ‘63 cars, Café racers, Metal Shaping by Anvl Kraft, Food trucks, Skate boarding & BMX demos, Jack Daniel’s Bars, SCAR, Barnet Fair Barbers and the most insane Mutant Desert vehicles. To top things off, Jaguar Land Rover South Africa will showcase their world-first Two Icons Tour experience, which has just been in JHB at the top of Sandton City and now comes to the CTMS. This exhilarating experience will give guests an opportunity to experience Jaguar’s Art of Performance Tour and Land Rover’s Above and Beyond Tour in one location. 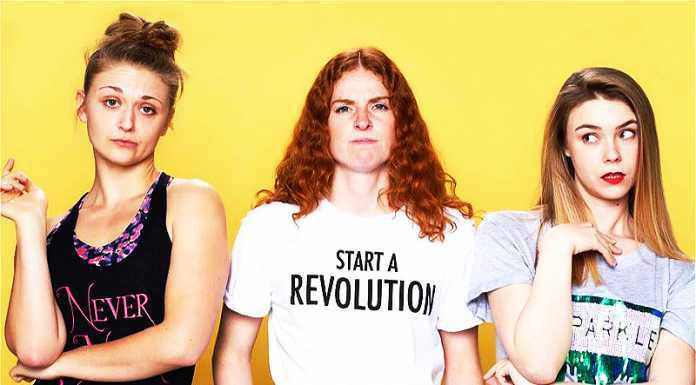 The Tour will give guests an opportunity to immerse themselves in various experiences across the two brands including self-drive and driven experiences, as well as other brand activities taking place at the CTMS. Besides all the above attractions, there are also going to be helicopter flips available and WFI Auto Detailing are really pulling out the stops with a prize where Old School muscle meets new school convenience. Heart 104.9 will broadcast live from the event, so bring the whole family to be a part of this weekend spectacular.